The May/June Programming Brochure is here! Check out all the fun events we're having for kids and adults, and everything we have planned for the start of summer reading! You can download the brochure here. Sign up for any program that requires registration begins on the 15th of the month preceding the program. ABC MOUSE EDUCATIONAL (FUN) SOFTWARE! Free to use in our computer lab. ABCmouse.com: From Age of Learning, Inc., the award-winning ABCmouse.com curriculum is designed to help young children (ages 2-6+) build a strong foundation for future academic success. 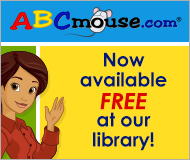 ABCmouse.com is 100% educational, with 3,500+ learning activities across all major subject areas—reading, math, science, social studies, art, and music. Best of all, kids love it! The Friends of the library have a book sale on the first Friday and the third Saturday of every month from 9 a.m. to 12 p.m. The library has three staff members who are licensed notaries. Service is normally available when the library is open for a $1.00 fee; but please call ahead to ensure one of our notaries will be available when you come. The library Board of Trustees meets on the first Tuesday of each month at 7:00 pm (unless noted otherwise). The public is encouraged to attend as plans for the future of the library are discussed. Registrars are normally available at the library Monday through Thursday 9-8, Friday 9-5 and Saturday 9-4; except for 27 days prior to any election. To register, a person must show two types of identification: one must have the current address, and one must be a photo I.D. 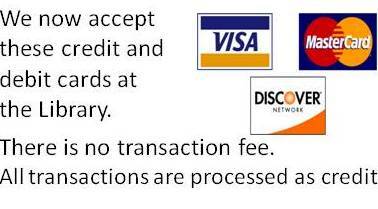 It is also required to use the social security number (at least the last four digits) or the drivers license number. For more information about upcoming elections and early voting or absentee voting, see http://www.madisonvotes.com/. 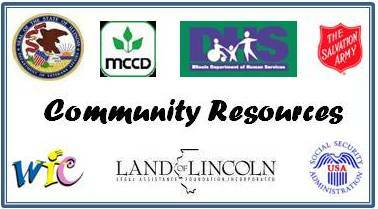 Additional information can be viewed at Illinois Board of Elections and at Illinois Voter Information. 2nd Tuesday of each month at 7:00 pm (unless noted otherwise). For more information about the Troy Historical Society, visit our Troy Historical Society page.